*Every time they say Roxanne perform a burpee. Thursday, November 22nd: Closed — Happy Thanksgiving! Friday, November 23rd: TWO classes only at 915AM and 1030AM. We WILL have childcare for both starting at 9AM. 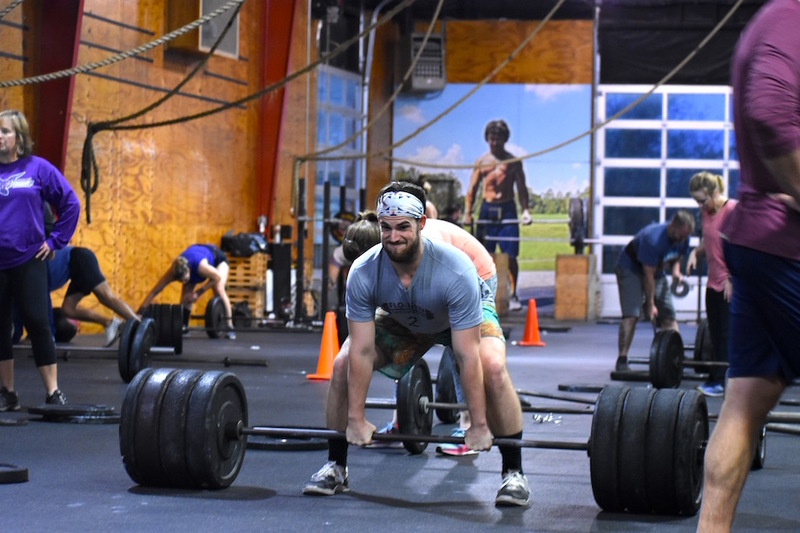 Saturday, November 24th: CFHSV Annual Iron Bowl WOD at 9AM. All other classes canceled. We WILL have childcare starting at 830AM. Jake is a great addition to CFHSV. So glad he chose CFHSV as his home. Jake shows up with a great attitude and goes all out. He is a great athlete who can do it all. Jake has been bringin the heat since he joined us! He’s always locked and loaded for whatever’s thrown at him. This pic captures his intensity and focus for every rep. Keep gettin it done stud! Jake! Lifting some big weight! Just another day at the box for this guy. He throws down hard every time he walks through the door. Glad you found a home at CFHSV… now keep showing up and showing out! Jake ‘n’ bake! Been knowin this dude for a minute. Glad to keep on knowin him! Thank-you for all the love and support! I am so pleased with everything at CFHSV and so glad to call it my home gym. From the coaches to the members CFHSV is an amazing place to sweat. Looking forward to many PRs alongside all of you!